Olhar de Cinema – Curitiba Int’l Film Festival began its activities as an independent film festival. Since 2012 the festival has already taken more than 115,000 people to theaters and has exhibited more than 600 films from around the world. In 2018 completed its eighth edition with the exhibition of more than 150 films, allowing more than 18,000 people to access these works. After six years of experiments, risks and certain shots, the Olhar de Cinema is already part of the cultural scene of independent cinema in Paraná, Brazil and the world. The event aims to highlight and celebrate the independent cinema held worldwide through the official selection of films with inventive aesthetic proposals, involving and with thematic commitment, ranging from approaching contemporary concerns about the everyday micro-universe of relationships, until interpretations and positions on politics and world economy. Films that risk new forms of cinematic language, which are open to experimentalism and yet possess a great potential for communication with the public. In the midst of these questions, it is possible to compose a program of great thematic and aesthetic diversity, which does not reject genres, formats and durations. The Universe consists of approximately 130 annual films, the Olhar de Cinema always seeks to value the Brazilian cinema and also Paraná, by extracting the most precious and urgent in these cinematographies, guaranteeing special care when scheduling such works. The festival seeks to compose sections that combine Brazilian and foreign films, enabling dialogue and exchange between all these universes. Parallel to the exhibitions that make up the official selection of the event, the festival still sheds light and honors masters of world independent cinema, restored classic films and also new directors who, even with a short filmography, already have a strong artistic identity. 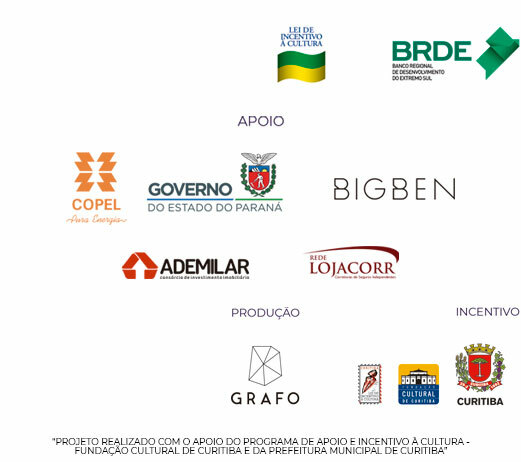 With this proposal, the programming realized by the Olhar de Cinema counts on the great majority of the selected films still unpublished in Brazil. In this way, the event is intended not only to provide the public with unique cinematic experiences, but also to foster reflection on the language and history of cinema. We thank everyone who has made this story possible, which is a part of our present and makes the future of the event even more vivid!